Tom Brokaw has used The New York Times as a bully pulpit by writing an op-ed column titled "Learning to Live with Cancer." In today's piece, the NBC special news correspondent talks of being diagnosed, three years ago at age 73, with "an incurable [blood] cancer called multiple myeloma" and a statistical probability of five years to live. He's since had "chemotherapy, a spinal operation…infusions of bone supplements and drugs to prevent respiratory infection" that put the cancer into remission. "Combating cancer," he writes, "is a full-time job that, in my case, requires 24 pills a day, including one that runs $500 a dose." Still, the bone damage "brought persistent back pain and unwelcome muscle deterioration." 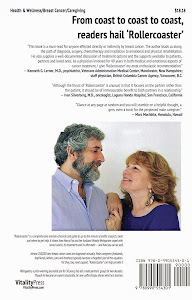 And, of course, there's the content fatigue. But he also talks of befriending others (in person and via email) with terminal diagnoses, some of whom have already died — but focusing on one in particular who's "doing well" 14 years after then-new treatments were applied. 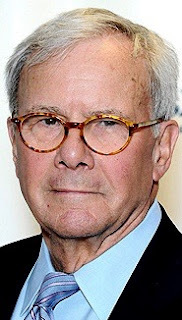 Last year, Brokaw published a book, "A Lucky Life Interrupted," that he said he hoped would help others battling the disease that affects some 27,000 Americans annually. 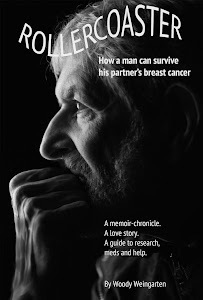 To learn more about having cancer and aiding a patient with it, consider reading "Rollercoaster: How a man can survive his partner's breast cancer," a VitalityPress book I, Woody Weingarten, aimed at male caregivers.